This trip has been as wonderful, eye opening, life changing, and amazing as ever. It never ceases to surprise me and show me a different side to life that I didn’t expect. I had more meaningful conversations with the kids that I hadn’t in previous trips, and I heard stories of heartbreak, abandonment, and reunion. These kids have been through so much in their lives and are labeled as special needs, or type 8, on top of it all. It just isn’t fair. There is one story that captures the idea of unfairness perfectly. About halfway though the week, Galina told us that we would be getting a new girl named Nadya. We had a very long, emotional talk with our kids about welcoming a new family member and how you need to embrace them with open arms. The first day she arrived everyone was very helpful. 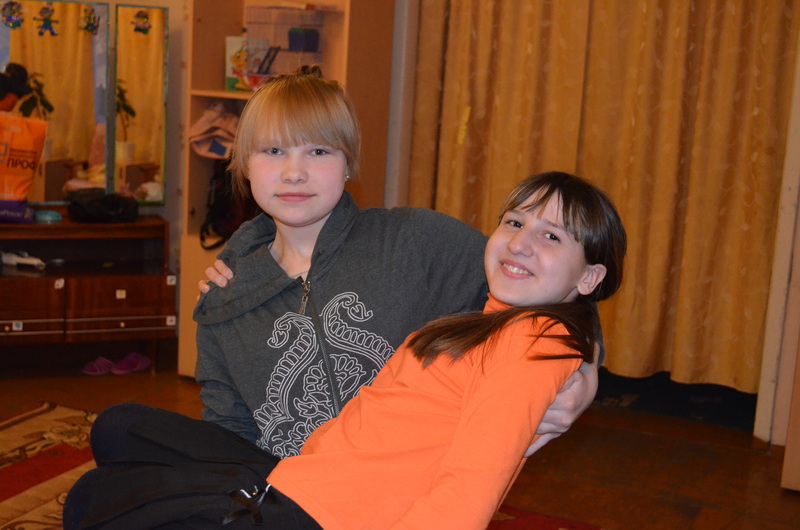 Vlada helped make her bed with new sheets, and Alyona even gave up her bed and slept on the couch so Nadya would get a good night sleep. She was very smiley and happy that first day. The next morning, a huge change had come over Nadya. She was holding back tears at meals and was very reserved. We asked her what was wrong, and she didn’t want to talk at first. She wasn’t eating and said she didn’t like any of the food. When we asked her again about why she was sad, she told us that she lived with her family up until the day before. She has no idea why she was taken away from them. Everything seemed fine to her. Her brother was sent to another orphanage away from her, and she was just torn from her family. Nadya doesn’t know how she ended up in Slobodskoy. Imagine that this happened to you. At the age of 12, you are taken away from your mom, dad, and brother and tossed into an orphanage. There is no explanation for why you had to leave. You are just thrown into a new home and know no one there. This story just breaks my heart. I have no idea what I would do in this situation. I think the only thing that would get me through would be God and my faith. This should be a wake-up call to all of us. 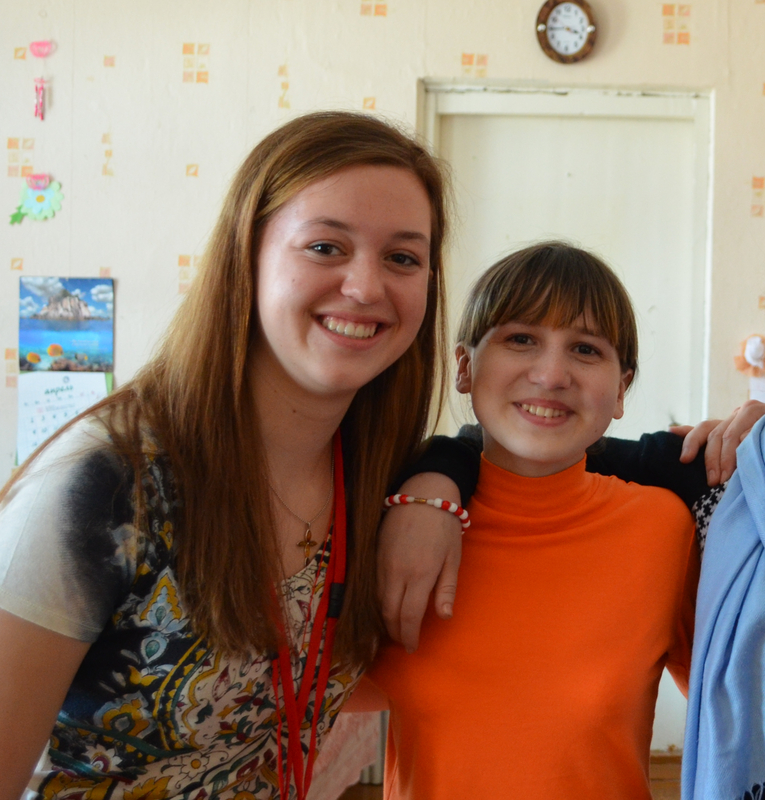 People like Nadya need our support and encouragement to see hope in times of darkness. Our Easter service tonight in our hotel really showed that to me. God has called me to help these orphans through their troubled times and share their stories with other people who may be able to help. Letters are treasured, and I can’t even remember how many kids have come up to me showing me the letters they have received. It means so much to them, and I think they really take what we say to heart. We need to help provide confidence in the future for these kids. Jesus died on the cross and rose again in a time of darkness. We can help the kids see that even though times may be tough, there is still potential in every one of them. This trip really opened my eyes to some of the despair that these kids have in their lives. But even with all of the tragedy they have experienced, they still have hope. I hope that you will join me and help give some optimism to my extended family in Slobodskoy.